Every moment of the ice cream experience is unique. 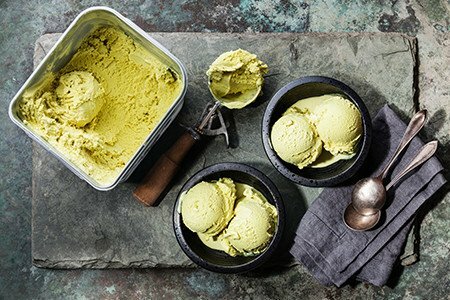 From the time that you scoop the first flavor, all the way down to the melty goodness being swirled together in your bowl, every moment of tasting delectable ice cream deserves some recognition. Let’s break down some of the best moments of tasting that ice cream that you love so very much. Here are the top three parts of the ice cream experience that almost every person is a huge fan of. Okay, so you’re in the grocery store. You’re met with a literal wall of choices. Different brands, different flavors, and you get to choose the one that’s right for you. You could go for something classic like vanilla bean, or maybe mix it up with some red bean, perhaps (that is, if you’re taking a look at some of that delectable mochi). Whatever you end up choosing, you get to make some crazy fun choices before you even start eating the ice cream, making the whole thing more enjoyable. You can even choose neapolitan ice cream, which contains three flavors all in one! Now that you have your ice cream, you have to work through the awkward part of the relationship. As you’re scooping it for the first time, you’re going to notice that it’s ice dover and hard, making it really difficult for you to get it out of the carton. Every relationship takes hard work in order to make it great. That’s why you need to muscle through the experience and really try to make it work (it’s going to be worth it for you in the long run). Either that, or you can start the relationship off on the right foot with some Mochi Ice Cream (no hard scooping required, as each scoop is already contained in that delicious sweet mochi dough). I think we can all agree that the sweet spot for ice cream is about 5-10 minutes into the experience of actually eating it, where your ice cream starts to melt just enough to make it completely delicious. Not near watery yet, the cream is at the perfect level of consistency so that you taste the entirety of the flavor. Mochi of course comes pretty much at this consistency already. The sweet mochi dough houses the premium at optimal temperatures for the perfect ice cream experience. This is the very best part of eating ice cream by far. Go Out and Get Some Ice Cream Now! One of the very best things that you can do to make that day insanely good is to run to the nearest store immediately and pick up some delicious ice cream. From start to finish, the ice cream experience has everything that you need to make any day much better. Take your time with every single choice, every single scoop, and every single bite. It’s going to make your ice cream experience that much better.